Everyone loves a list, right? Myself included, we love lists. Give me 10 ways to better my love life. Or, 10 moves to get rock hard abs. In the education world, give me 10 apps to load to my iPad to raise my test scores. I'm totally over that. 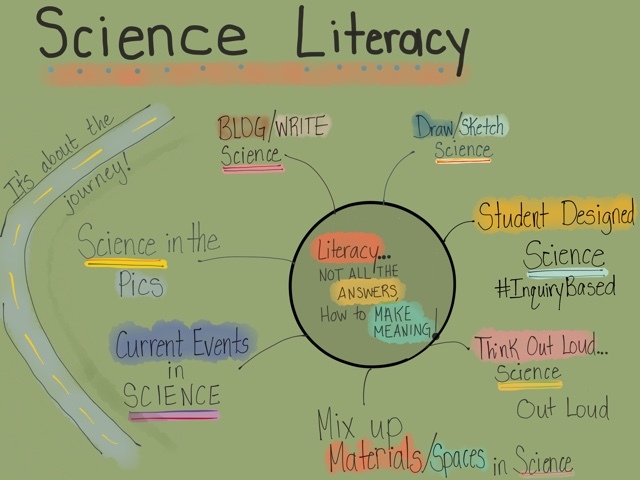 I was thinking about science literacy. This is on my mind mainly for three reasons: I teach science, I'm 23 days away from the amazing Neil deGrasse Tyson lecture, and mainly the recent, ridiculous proposition on Twitter by a popular rapper that the Earth is flat. All these things float in my mind, and I've been reflecting on how my journey with students to develop science literacy is progressing. I've always believed that memorizing facts in respect to science is fundamentally unsound. We definitely need to have some basic understandings nailed, but the goal to memorize a bunch of stuff doesn't make sense. Science, like many areas, is always changing, expanding, and improving with great people's minds reflecting and questioning. A fact today could be adjusted tomorrow. That's exciting to me! I love that we don't know everything! The journey through life becomes an adventure. Yes, because everyone loves lists! 3. Work in the world of student designed science inquiry. 4. Think out loud in science, and SCIENCE out loud in class. 5. Mix up the materials used and the spaces that science is conducted. 6. Science current events need to be the driving resource. 7. 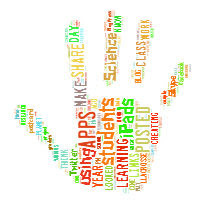 Get students looking for Science in the Pics!